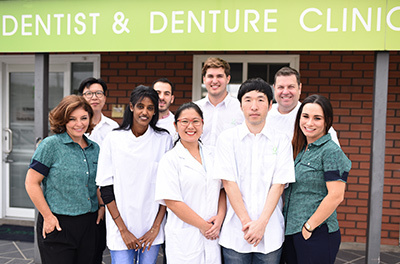 Our Mt Gravatt East family dental practice has an on-site lab, which allows us to provide uniquely tailored restorations in an efficient manner. We use only the highest quality of biocompatible materials available, to ensure durable and safe results. Because we have registered dental technicians on-site, we’re able to closely monitor the process of creating restorations like crowns, bridges and dentures. This also reduces our operating costs, as no 3rd party labs are involved. Not only do you receive a precisely fitted restoration that’s more affordable, the process is completed as efficiently as possible. When a particular tooth needs to be custom matched or evaluated by a lab technician, there’s no need to schedule a separate appointment. 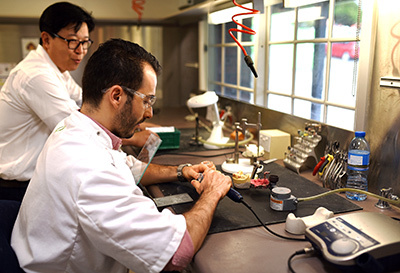 We have worked with our lab technicians for a long time, so the quality control process is fine-tuned to meet the expectations that we’ve set for your treatment. 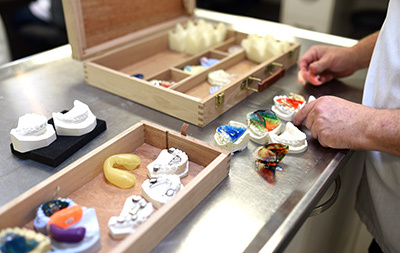 Each impression, mould and fixed prosthesis we make is expertly designed for the best fit possible. 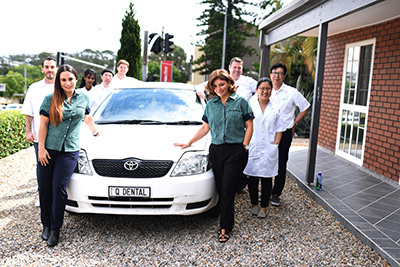 If you have an older family member who isn’t able to make it to our office for a denture fit or repair, our courtesy car pickup service is happy to pick them up at their home or retirement centre. Contact our office today to learn more about our comprehensive treatments and state-of-the-art facility. Late hours and Saturday appointments are available.